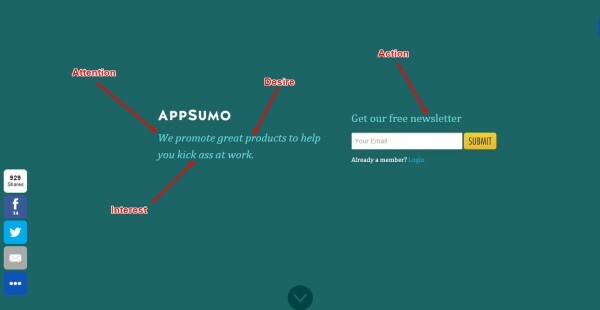 Too many business websites aren’t useful marketing weapons. Instead, they’re like firing a gun loaded with blanks. Website visitors look at a page or two, don’t find anything relevant or helpful, and leave, never to return. Code.org is a site for a nonprofit created to bring computer science education to all students in the United States. Changes to its website content helped blow away its goal of securing 10 million students to sign up to code for an hour. As Optimizely tells the story, 30 million students signed up – with at least 12 million sign-ups attributed to testing and optimizing website copy changes and 8 million credited to headline testing. Voices.com, a voice-over talent marketplace, earned 400% more conversions by segmenting its visitors and displaying relevant copy to each segment, according to Kissmetrics. 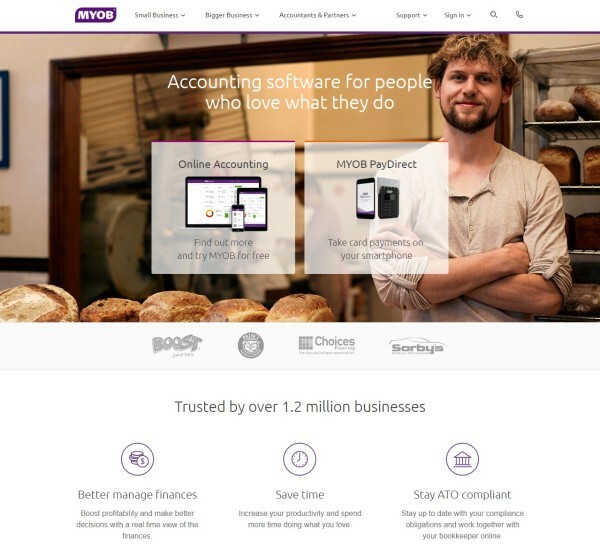 Project management app ThetaBoard added copy to promote seven features of its one-click demo and landed 46% more customers, as shared by Kissmetrics. Strategically writing website content for maximum conversions is so complex that I could write a series of white papers or blog posts explaining the ins and outs. But for now, I’ll keep it simple and give you seven quick fixes to turn a hapless website into your next content marketing tactical nuke. It’s a fancy way of saying to start with the most powerful selling point and then move to the supporting points. If you make the biggest point last, your prospects will miss it. They already stopped reading because you never won their attention in the first place. Dan Kennedy, one of the greatest copywriters, says prospects are more likely to act to avoid pain than to gain a benefit. He teaches the Problem-Agitate-Solution formula, which was first created by Dr. John Brinkley whom he wrote about in Making Them Believe: How One of America’s Legendary Rogues Marketed ”The Goat Testicles Solution” and Made Millions. Problem – Identify your prospect’s most painful problem. Agitate the problem – Describe your prospect’s problem in gory detail. Magnify it by focusing on the painful emotions your prospect could experience if the problem continues. Solution – Present your solution. If you’ve discussed your prospect’s problem in explicit detail with language he or she uses, your solution sounds amazing. You can use the PAS formula for your website and every piece of content you create – tweets, blog posts, landing pages, and so on. Attention – Hit your prospects with a marketing message that snaps them out of their daily routine. Interest – Use unexpected language and information to keep their attention. Desire – Answer your prospects’ most important question, “What’s in it for me?” by talking about the benefits for them. Action – Tell your prospects what action you want them to take next. Awareness – Raise the problem to your prospects’ attention. 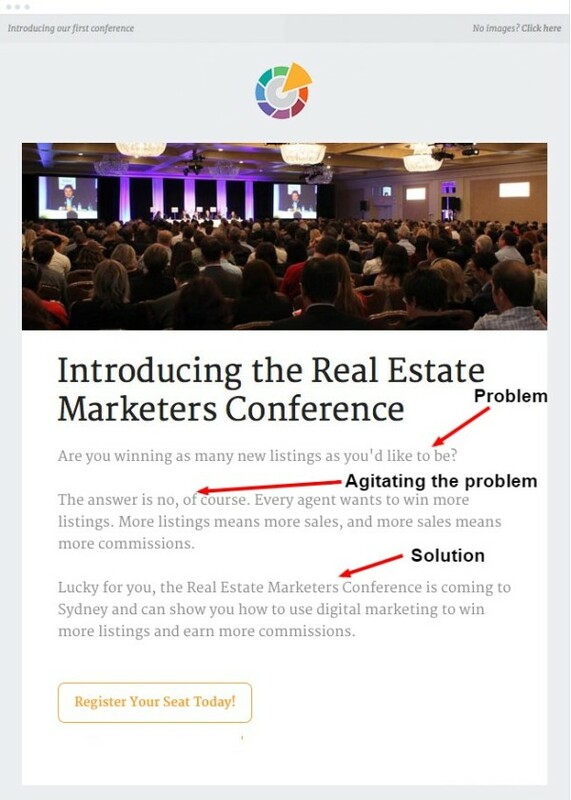 Comprehension – Explain additional detail about the problem so your prospects understand it better. Conviction – Show your prospects the pain that the problem causes so they have good reason to act. Action – Ask your prospects to do something. In this respect, your website’s no different than any other web content. Your headline bears the most weight on your prospects’ decision to stay and read, or glance and leave. Your website headline is your first opportunity to make a connection with your visitors. 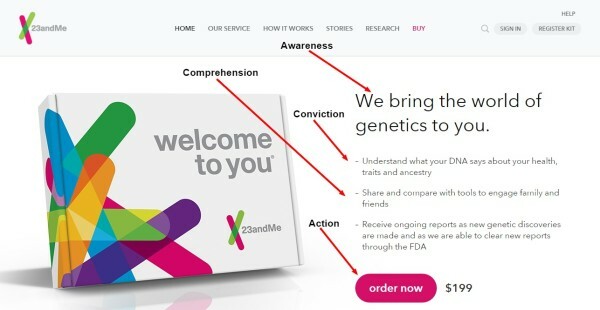 Even miniscule changes can make a massive impact on your conversions. For example, Movexa, which makes a joint-relief supplement, boosted its conversions 89.97% by adding the word “supplement” to its page’s headline to improve clarity. One surprising caveat with headlines: Creativity actually loses you more leads than it wins. Michael Aagaard of Unbounce says he has yet to see a creative headline beat a clear headline in an A/B test. That’s because your prospects think of their problems and needs in their own words. You have to show you understand their problem by using some of their exact words and phrases in your headline. If you try a creative approach, you use words that make sense to you, not your prospects. As a result, your content does nothing to inspire your prospects to take action. Your business, regardless of how boring you might think it is, fascinates at least some prospects. Otherwise, you’d be out of business, right? It took 1,200 brewery experiments to craft Schlitz. Schlitz drilled 4,000-foot artesian wells to access pure, unpolluted water. Plate-glass rooms, filled with filtered air, cooled the beer without causing contamination. To brewers, the process wasn’t shocking. 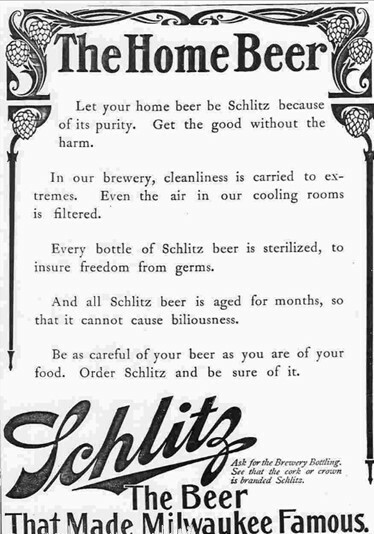 But Hopkins knew telling consumers the story of what “pure” means would do Schlitz big favors. Oh, and the results? In just a few months, Schlitz, an ordinary beer company, catapulted to a first-place tie for U.S. sales. Even though this story’s nearly a century old, the exact same technique works today. The senior vice president of design describes how each MacBook Pro was carved from one piece of metal, which allowed it to be smaller and lighter than many other laptops. Apple even gave it a unique name, the Unibody, to make it appear more special. But even that wasn’t enough marketing power for Apple’s fanatical employees. They share a mini-story about each part inside the MacBook Pro. This technique works especially well for products and services where the features and benefits are more abstract. Concrete descriptions make them more real and powerful in the minds of prospects. “Save Time, Save Money” – how many times have you heard that marketing lingo? Now, it’s not bad because it focuses on two benefits every executive wants. But consider how many times your prospects have experienced these words. They become blind to those words after seeing them hundreds and hundreds of times for years. You have to use unexpected words and phrases to describe the same benefits. Be more specific. For example, change “Save Time, Save Money” to “Slash Hiring Time and Cut Hiring Costs.” The words “slash” and “cut” are different and have more emotional power. No insult to your prospects’ intelligence intended here. Your prospects know their job well, but they may not know what you sell, how it works, or how it can help them. They don’t want to take any more time than necessary to understand your product or service. Whether you target high-power CEOs or mid-level managers, they all need to hear what you have to say in the simplest terms possible. They’re not going to stay on your website and spend their valuable time trying to figure out what you mean. They won’t give you a call because you confused them and they want to understand. Complex writing may work in academia, but not in sales. One exception to the simple language rule is content for highly technical audiences. If developers or engineers are your audience, you should be more technical because they need that information to understand how your product or service helps them. However, you still need to keep the message simple and clear to hold their attention, just as you would for less-technical audiences. As with Claude Hopkins’ Schlitz beer ads, this technique never changes. In fact, you can see the write-to-a-12-year-old concept at work in his ads. If anything, keep your website content even simpler because of today’s information overload. This tip is no joke – you should literally write like you’re explaining what you offer to your 12-year-old child. In fact, it’s one of the seven lessons shared by legendary copywriters. As a test, read your copy to your 12-year-old and ask her to tell you what it means. Who do you really want to submit an email, download your white paper, or call your sales team? That’s precisely who you need to write for. It’s a big competitive advantage for your business because your competitors likely don’t want to turn off any prospects. They try to write their website content to make everyone happy. But then they get hundreds of unqualified leads that the sales team must spend precious time sorting through. Motivating website content not only gets you more leads, it wins you more of the right leads so you don’t waste time talking to the wrong ones. Should you discuss how your hiring software increases employee longevity by 30.3%? Or should you talk about how smart the hiring manager will look to others in the office because of all the great hires they now make? You should discuss both. But which should you discuss first? Remember, your prospects are human beings concerned primarily with themselves. They want to be the superhero in the office who found the amazing solution everyone else wished they had found. You target the personal benefits first. And then you discuss those business benefits. When you write your static content pages, you should map all the features of your product or service as well as those of your competitors. Then strategize all the business and human benefits each feature offers. Discuss each benefit in proportion to the influence you believe it will have on your buyer’s decision. 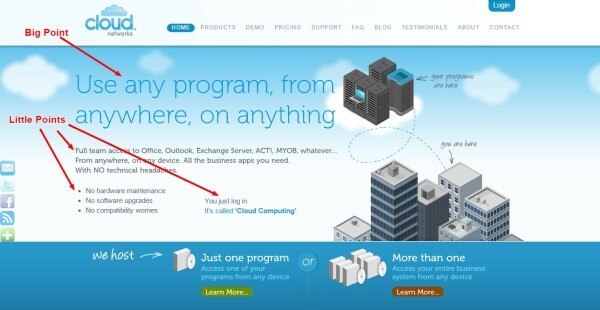 That might mean some benefits get only one or two sentences of attention on your entire website. But that’s OK, because most likely your competitors don’t talk about those benefits at all. Most businesses don’t give this level of scrutiny to their static website pages. And most never will because they don’t understand the hidden value of those static content pages. 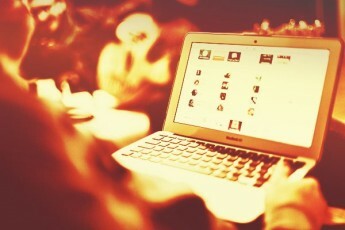 What could you do to make your website a powerful marketing weapon? Let me know your thoughts in the comments. Want to add to your content marketing arsenal on a daily or weekly basis. Sign up for the CMI e-newsletter. Dan crafts remarkable content for B2B, software, or SaaS company websites so they don’t leak qualified leads to the competition. Get your free checklist: "The Smart B2B Marketer’s Cheat Sheet for Consistently Creating Lead-Generating Content" when you subscribe to his twice-monthly newsletter: Dan's B2B Lead Generation & Marketing Secrets.